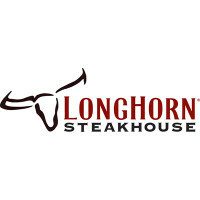 LongHorn Steakhouse is an American casual restaurant. They offer a variety of steak, together with their signature Flo’s Filet. The menu also other American favorites such as: chicken, shrimp, ribs, salmon, lobster, and salads. The restaurant also has other signature dishes aside from Flo’s Filet. The menu now features LongHorn Salmon and Parmesan Crusted Chicken. For lunch you can get choose from 30 varieties of salads and Steakhouse burgers. You can finish your meal with their signature, Molten Lava Cake. The restaurant’s first location opened in 1981 on PeachTree Street in Atlanta, Georgia. Founders John McKerrow and his father originally called it LongHorn Steaks Restaurant & Saloon. The LongHorn Steakhouse caught their big break during a snowstorm on January 1982. The commuters were trapped and the McKerrows decided to offer a dollar for menu specials and drinks to the stranded motorists. Since then, they have been popular for their delicious food. LongHorn Steakhouse started to expand south by 1990, spreading across the Eastern United States. It currently has 488 locations spread across the United States, and other countries like Saudi Arabia, Malaysia, Puerto Rico and Qatar. This steakhouse is a good choice if you plan to serve American cuisine. They accept large orders, so give them a call if you are craving American favorites for your next event. LongHorn’s has a sizable takeout menu filled with all their bestsellers. You can call them to place your order and pick up your food at your local LongHorn’s restaurant. They don’t offer delivery but you can still get your food delivered from the restaurant via 3rd party applications or websites such as OrderUp and DoorDash. Delivery from these sites depends on your location. These delivery services may also charge a fee for handling the transaction. The sizable portions and the American favorites in the menu keeps people coming back to the restaurant. The staff is professional and polite, so you can expect great service. LongHorn does not offer catering but they do accept bulk orders. Just find the nearest restaurant location using their website, and call their local telephone number. As with any bulk orders, the restaurant may need more time in advance to prepare your order. Place your order at least 24-48 hours before your event to ensure that they can prepare all of the food on time. The restaurant does not offer delivery, so you may have to pick up the food from the restaurant. Talk to them about how long the food will take, and when you can pick your order up. The variety in the menu ensures that all the guest’s tastes for American favorites will be satisfied. Popular choices include their starters, which are shareable and come in a variety of vegetables, seafood, pretzel sticks, mushrooms and chicken wraps. Different varieties of salad are also a good option, with choices of either Chicken, Shrimp or Sirloin. There are also various sandwiches, and their legendary steaks. The steaks are served either in 6, 8 or 11 ounces with your choice of salad and honey wheat bread. The restaurant also offers steak additions, desserts, beverages and a dedicated kid’s menu, served with a seasonal fruit and a choice of side. The large menu of LongHorn’s means that it can accommodate a good variety of tastes, people, budget and number of guests. Pricing varies per state, but the portions are considerably large. You can start with their Bold Bites menu, loaded with different favorites in smaller sizes so you can sample the variety of delicious food their menu offers. You can get Chili Cheese Fries, Hand Battered Portabellas, Sweet Corn Fritters, Spicy Chicken Bites, or their Housemade Kettle Chips with housemade aioli and some smoky barbeque. The price for this menu ranges from 3.50 to 5 dollars. For the hungry diner, order from their Legendary Steaks. The steaks are grilled and seasoned to delicious perfection, and paired with either a side or salad. They also have specialties beyond steak. The menu features Salmon, Chicken, Fish, Baby Back Ribs and Pork Chops. The specialties are served with an option of either a salad or a side. Price ranges between 12 to 20 dollars, depending on what you order from the menu. Because the steakhouse does not offer delivery, you may have to pick up your order or get your food delivered via 3rd party sites. The prices in the restaurant are reasonable for the amount of food they serve per item in the menu. Give them a call to serve mouthwatering steaks and a taste of American favorites at your next party.